Flegg Projects is very proud of its heritage and history. 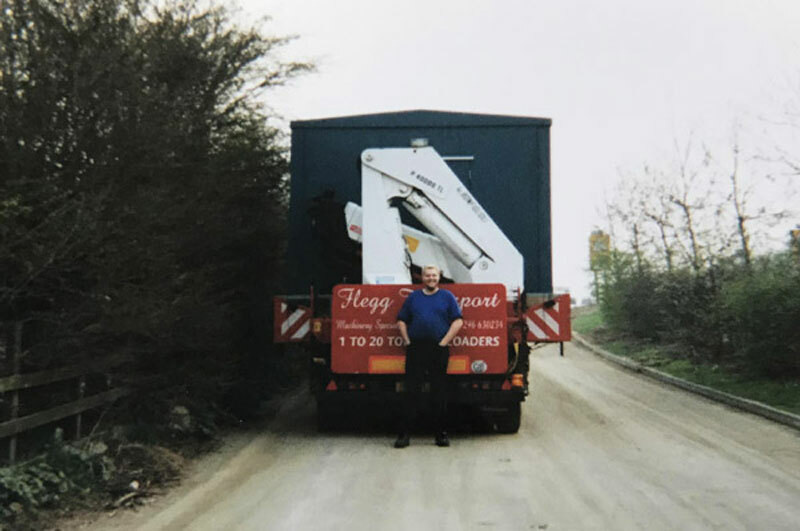 The business of moving machinery has come along way since its early foundations in the mid-1970’s. We are so proud that one of our early recruits is still with us today – now that is some employee retention. We look forward to the future with great enthusiasm as we aim to grow our business whilst maintaining exceptional customer service and delivery. So to the future: new teams, additional lifting equipment and support vehicles, all ready and waiting to serve clients in the North of the UK as well as to maintain the business in the south. Turnover soared by 16%, the forklift fleet increased by 44%, the combined lift capacity expanded by 55% and staff numbers went up 30%. Flegg Projects open a new depot in Washington (Tyne & Wear). After a few years of consolidation, like many businesses post 2008, comes a time for growth so Flegg Projects start to look North! After a spell away from the day-to-day business, Kiersty Cox rejoins the firm as finance manager, and a few years later is welcomed to the board. A new strategy is unveiled as the Directors decide to diversify, offering on-site services for major installation works. As a result, Flegg Projects is born, the installation service side to compliment Flegg Transport. A change for the management team occurs when the company says goodbye to Lyn - it's time for a well-earned retirement. 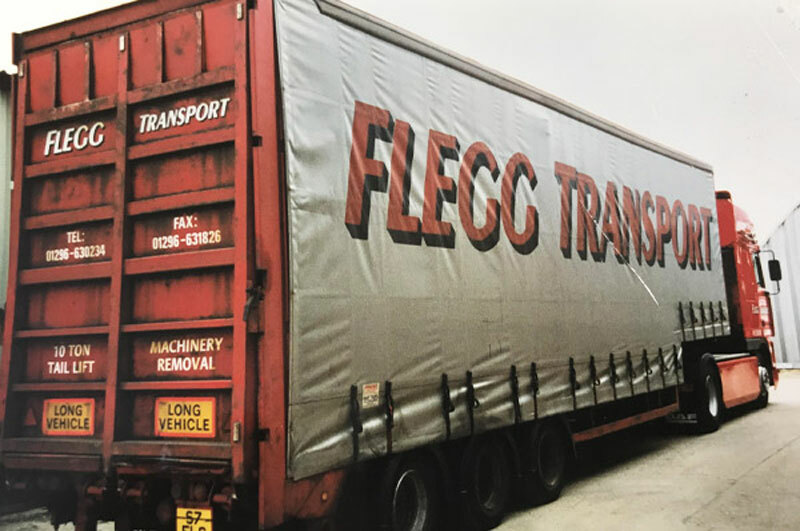 Flegg Transport takes over the lease of a 40,000 sq. ft. warehouse facility in Aston Clinton and in turn adds industrial warehouse services and packing to their portfolio. 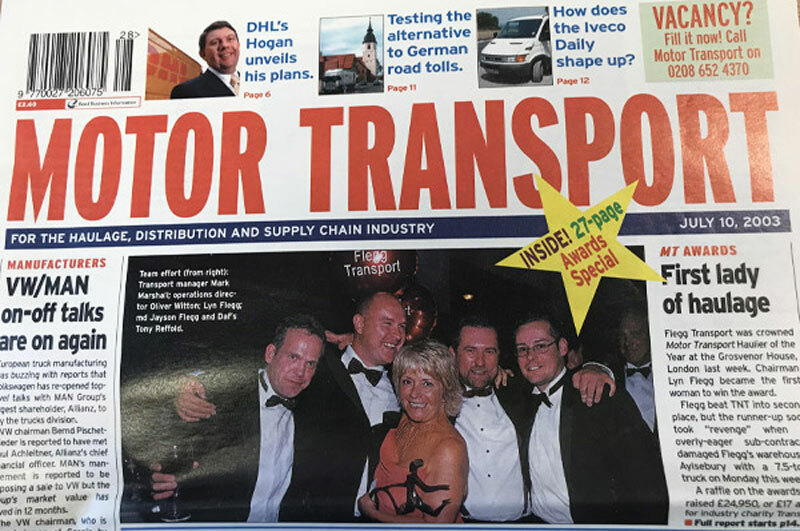 Mark Marshall joins the business as Transport Manager, and through commitment and natural business acumen becomes Commercial Director in 2003. 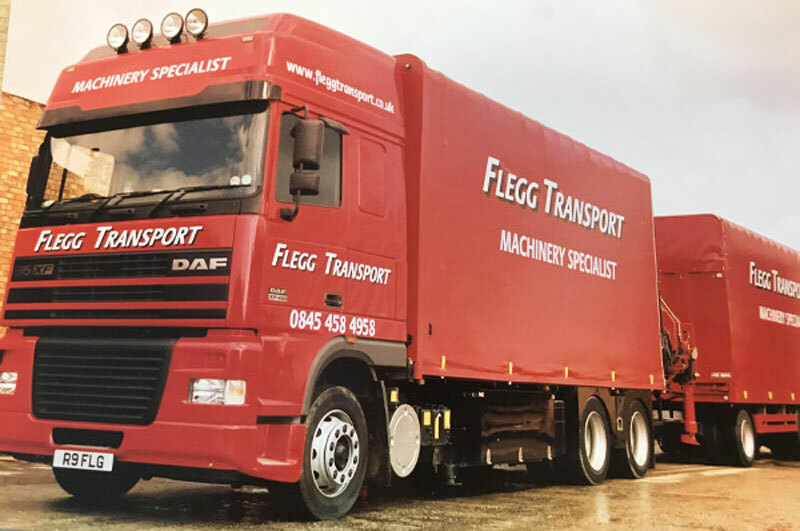 Flegg Transport acquires a local transport business which brings with it new customers and enables the fleet to be further enhanced. This acquisition also brings new blood into the business - a great boost to the current team. Jayson purchases 4 new DAF's to join the existing fleet of inherited or second-hand trucks. Flegg can now undertake much larger scale projects. 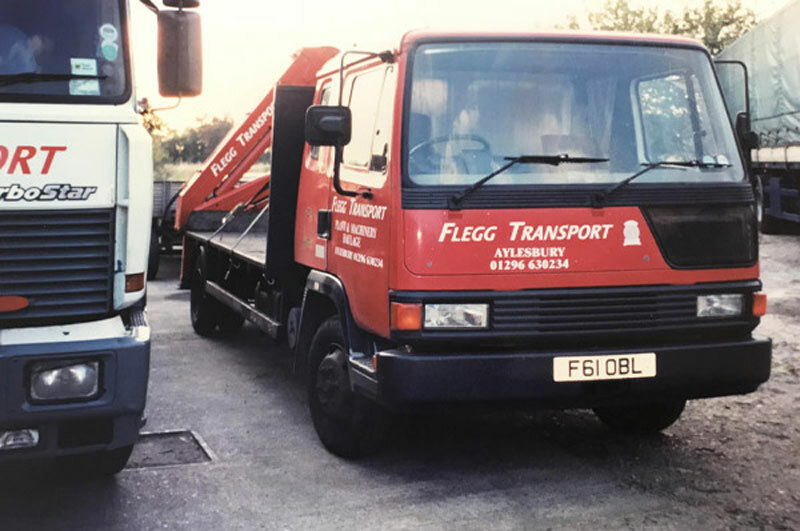 The 1990's saw twists and turns for all industries and it threw up plenty of challenges but also many opportunities for Flegg. Jayson's sister, Kiersty joined the firm to support Lyn with the accounts side of the business and like her brother has remained involved over the years latterly becoming Company Secretary. Flegg quickly outgrows its premises again with more employees and further vehicles added to the fleet. This facilitates another move to more expansive premises at Aston Clinton. 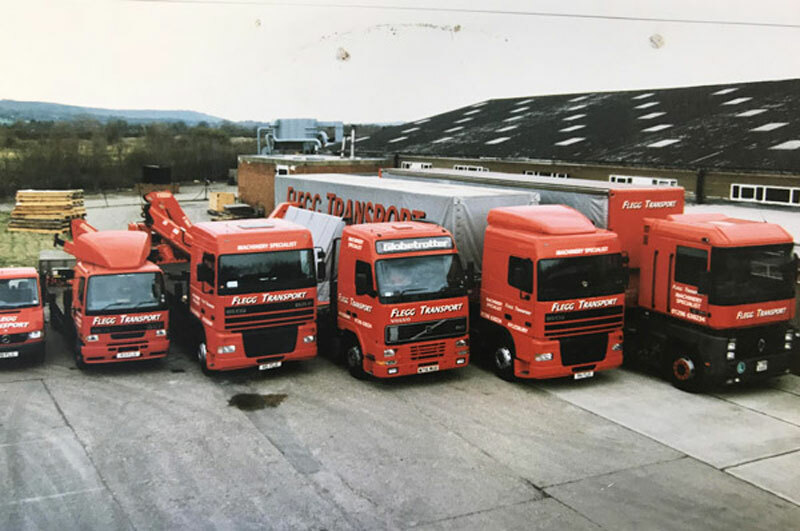 Flegg Transport maintained its family links, when during 1986 son Jayson joined the firm, initially as driver's mate. Today he is Managing Director! The first employee joins Flegg, John Petch, who amazingly remains with the company today. First expansion takes place, purchasing additional vehicles which necessitates a move to a larger yard at High Wycombe. 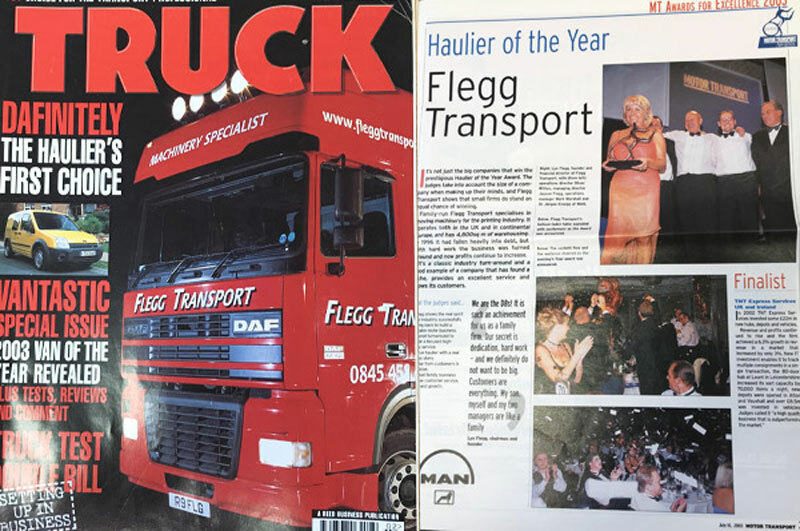 Flegg Transport formed. Operating one flatbed lorry from Uxbridge.